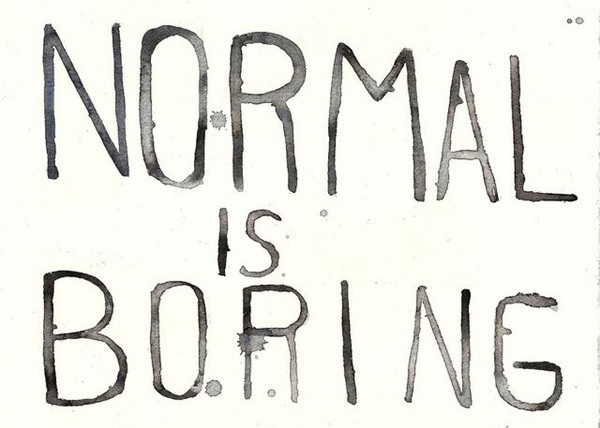 We share a similarity: We both want to be something more than normal. These short quotes will perhaps inspire something within us. Who among us can say we’ve not searched for a deeper meaning; a deeper purpose to our very existence? This in itself sheds away the boring aspect of life: discovering why it’s within our grasp. Perhaps we just want a hint on what others are thinking. Some feel as if they’ve come to a halt regarding mental stimulation. Whatever the case may be, you’re right here, right now, reading this. And you’re here because you’ve been stumbling over the “why”s in your life. 1. 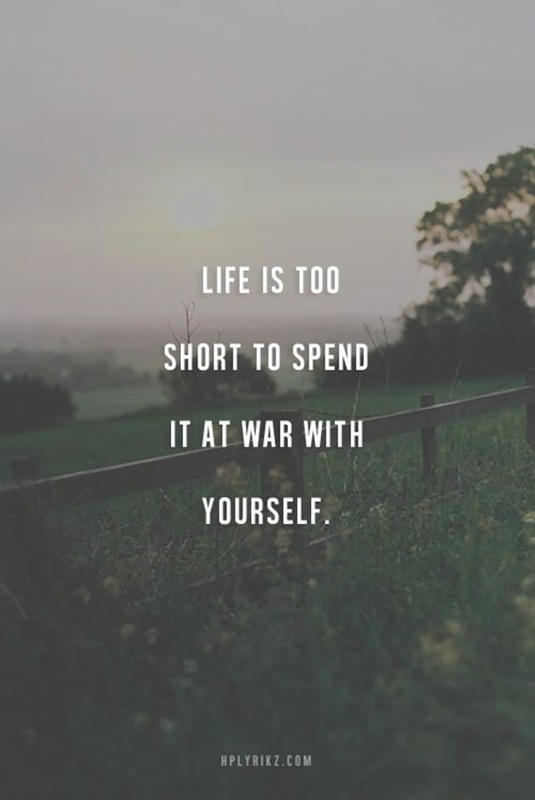 Life is too short to spend it at war with yourself. Then we’ll forever be at war. Instead, focus time and concentration on immediate surroundings. What must be done next? Don’t argue with yourself about if’s, and’s, or but’s. 2. 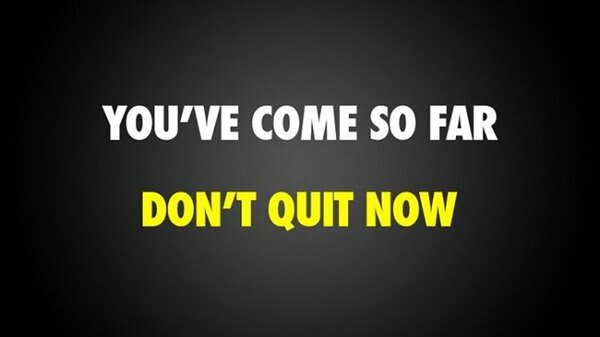 You’ve come so far, don’t quit now. Think of all the hardships you’ve had to endure in order to reach the place you are now in the realm of life you wish to succeed in. For example, if you’re a writer, think of everything you’ve had to write to aspire to your current situation. It doesn’t make any sense to suddenly decide to quit on reaching your goals. 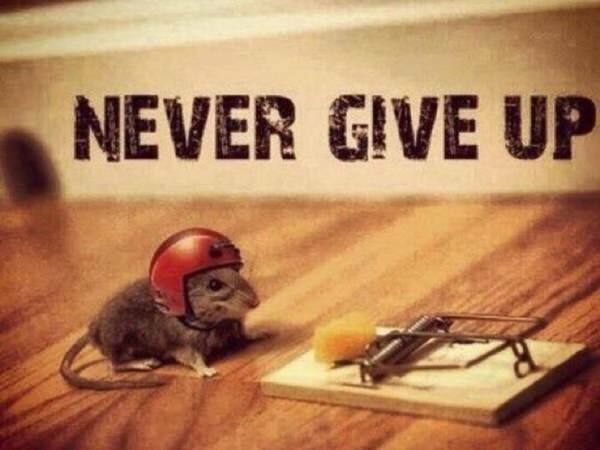 Keep going, you never know where life will take you. 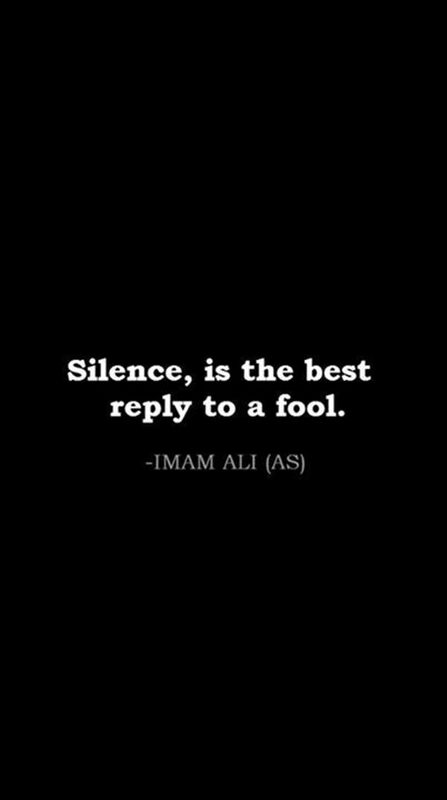 3, Silence, is the best reply to a fool. Because if you argue with a fool, you’re only proving there’s two: “Do not answer a fool according to his folly, lest you also be like him” is a quote from the Bible that displays another way to look at it. There are loads of quotes surrounding why we shouldn’t engage in argument regarding someone that’s been horribly misinformed. 4. 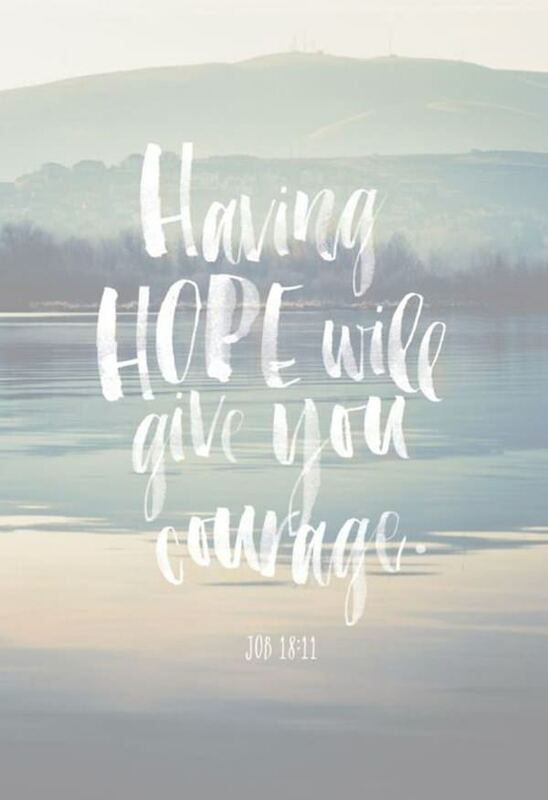 Having hope will give you courage. Of course, I take this quote and twist it to my own liking. I much prefer the word “faith” – Having faith will give you courage. That’s more like it. The more we have to work for something, the better it will feel when receiving the reward of achieving our goal. The longer it takes, the more precious it becomes. 6. 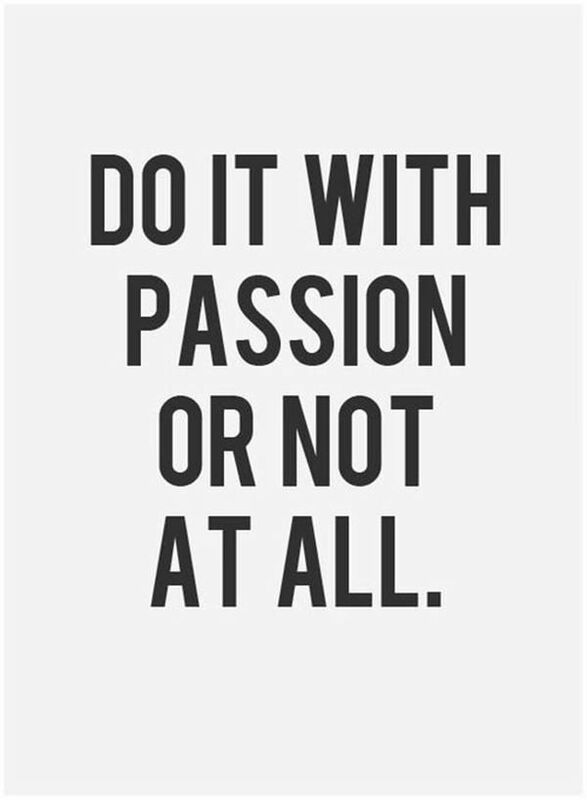 Do it with passion or not at all. This is a tough one for people to accomplish, though it’s something worth fighting for. Not all of us can pursue our passions in life, but those that push through the rough times and keep reaching for their dreams ultimately reach their destination. 7. Be happy. Be bright. Be you. Three simple little rules to live by, but something we sometimes forget to do as social norms tend to crush our individuality. 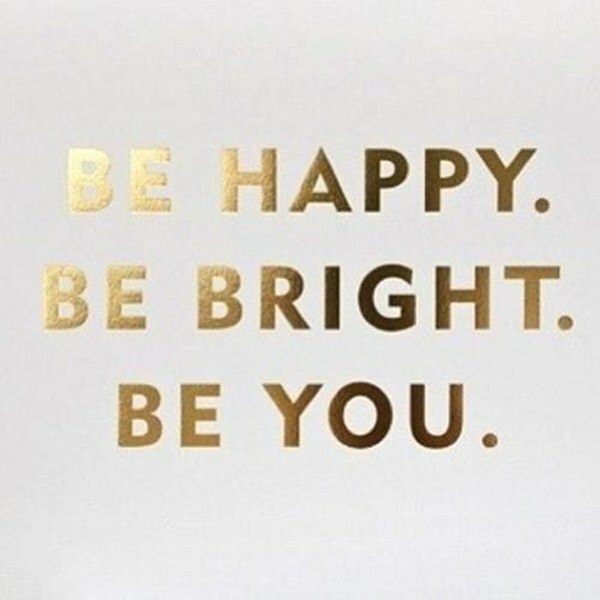 But no matter what, be happy – be bright – be you. This will make you stand out, especially if done with confidence. 8. 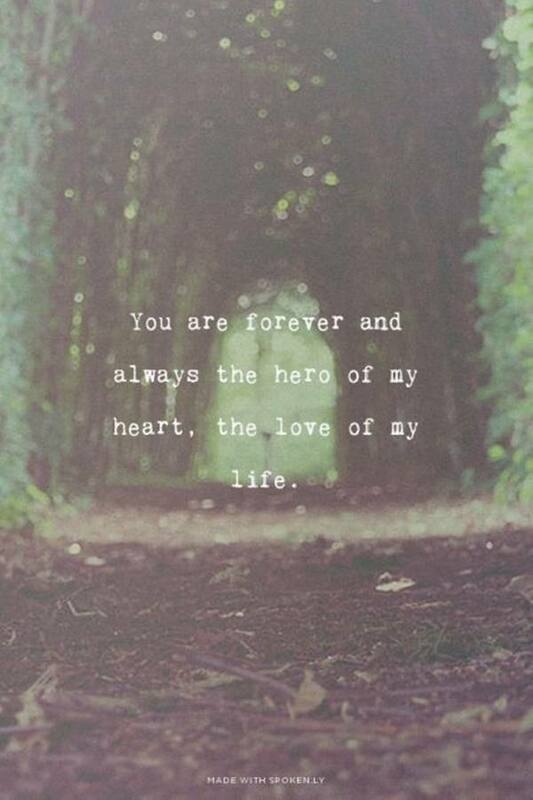 You are forever and always the hero of my heart, the love of my life. 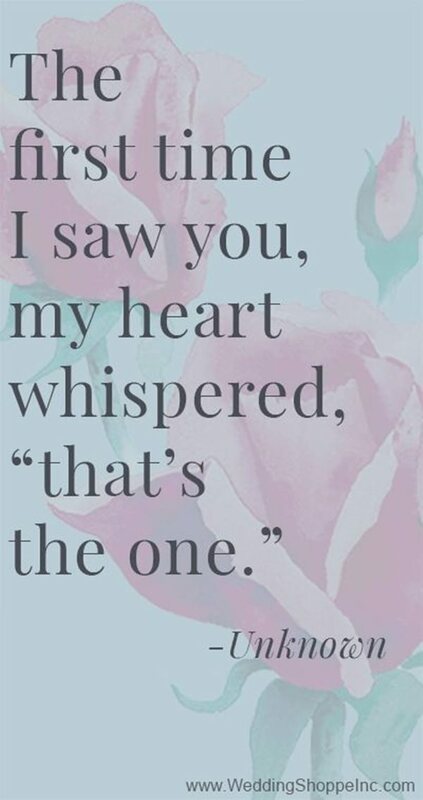 A beautiful quote we can share with a loved one – that is, if you’ve got the romantic kind of heart. Its good to know that people out there in the world think like this; put into words just how important someone is to them. 9. 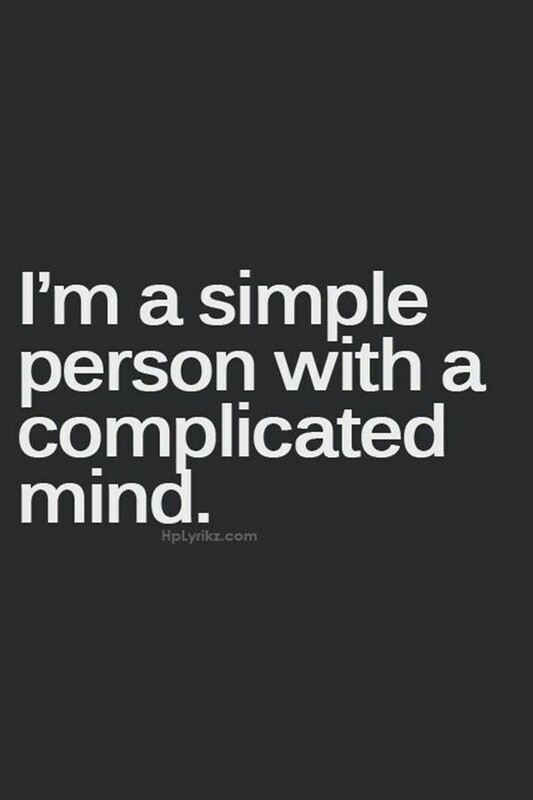 I’m a simple person with a complicated mind. For all those out there that have racing thoughts; that always seem to be distant worrying or thinking of something other than the current moment. It can be hard to stop. You’re not alone. 10. 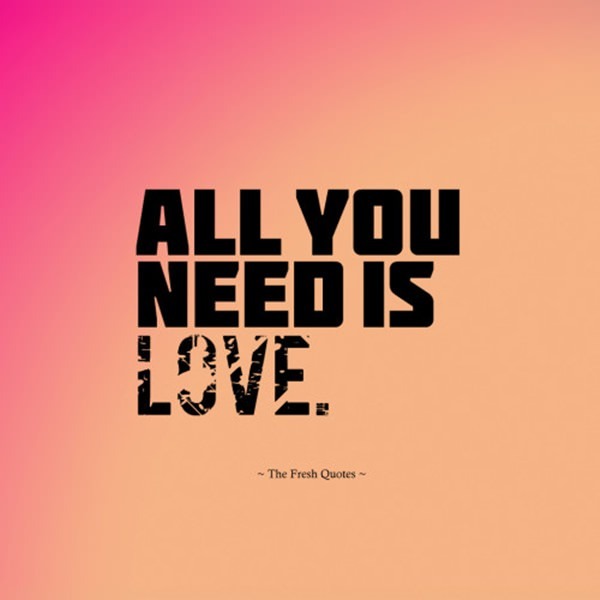 All you need is love. Because love can provide all. Have you noticed that this quote tends to appear in lots of songs? 11. 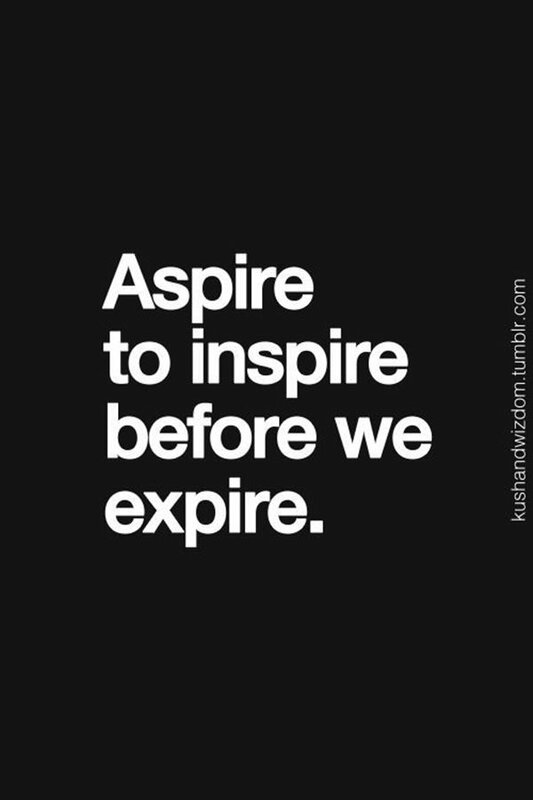 Aspire to inspire before we expire. It’s how not just a memory of you can carry on even after you leave this plane, it’s also a means of reaching a higher standing and understanding of our own minds and personalities. 12. 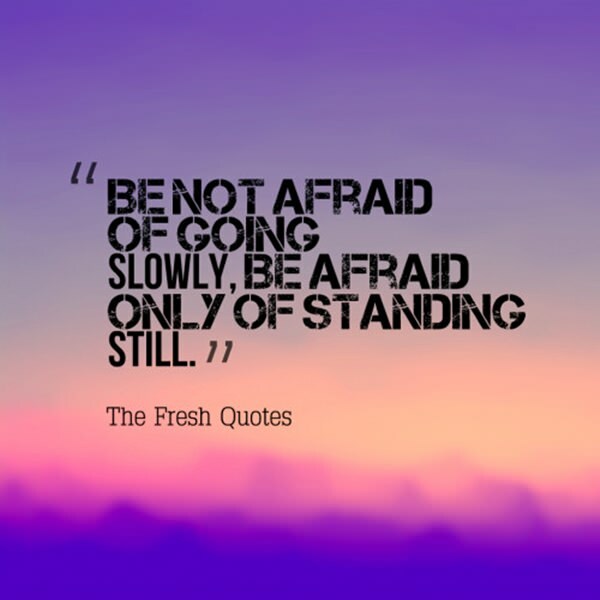 Be not afraid of going slowly, be afraid only of standing still. Whatever you do, make sure your actions push you towards your dreams; towards your goals. Don’t waste time! Don’t stand still; don’t let time waste when you could be capitalizing? 13. 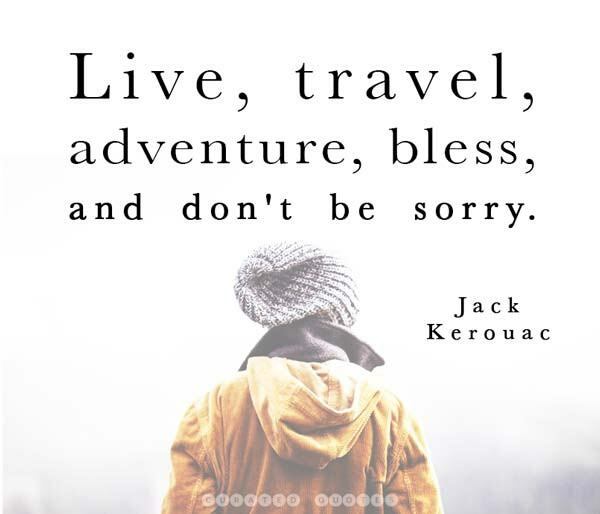 Live, travel, adventure, bless, and don’t be sorry. If we feel sorry for an action, this feeling is called regret. 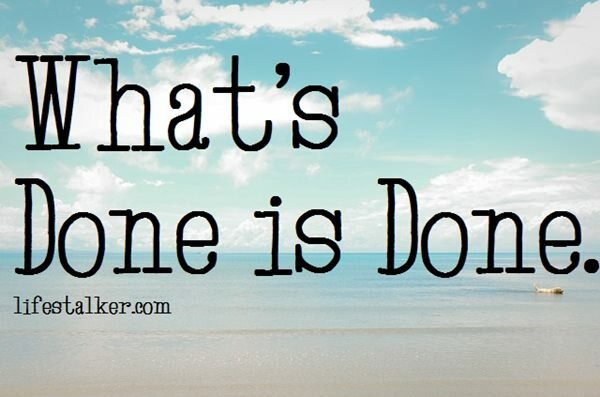 What’s done is done, can’t change it, so don’t regret it! Learn from it! Meanwhile, have adventures and live life to the fullest. There’s always a new way of achieving something. Sometimes you just have to get creative – or even just find a different means. 15. Life is beautiful. 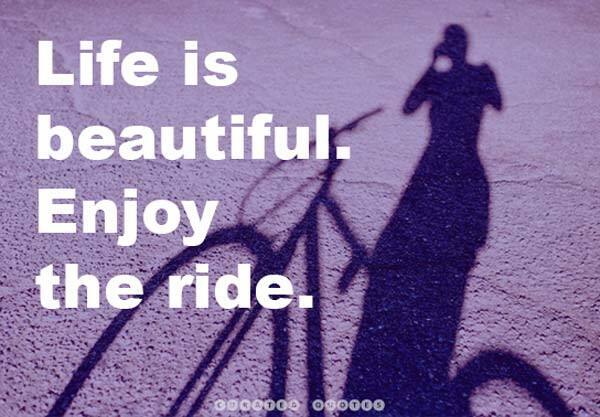 Enjoy the ride. You’re going on the ride anyway, might as well enjoy it. If you don’t enjoy it, then your mind must be somewhere it shouldn’t be. Live in the now. 16. 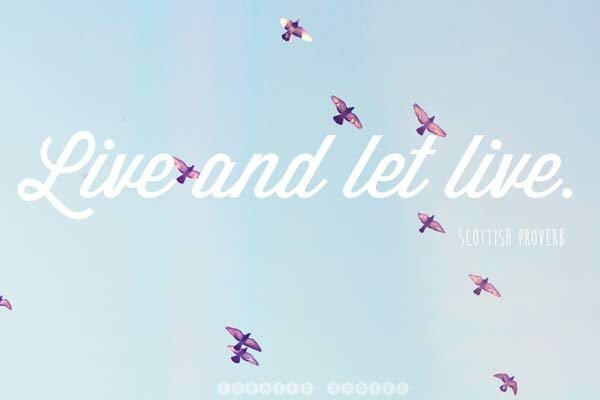 Live and let live. If everyone followed this simple lesson, we’d all be living peacefully with one other. Unfortunately, corruption pulses among us. 17. 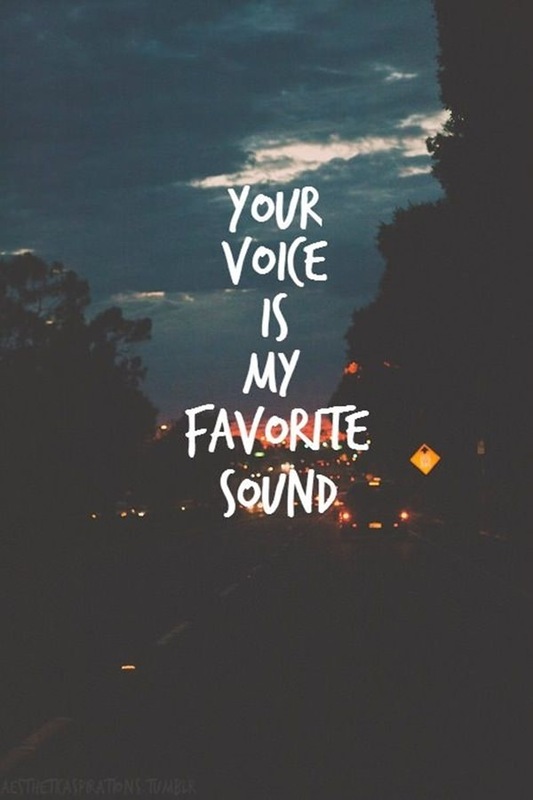 Your voice is my favorite sound. For some people, this is perfectly romantic. I’ve also heard a saying similar to this one in a love song. 18. 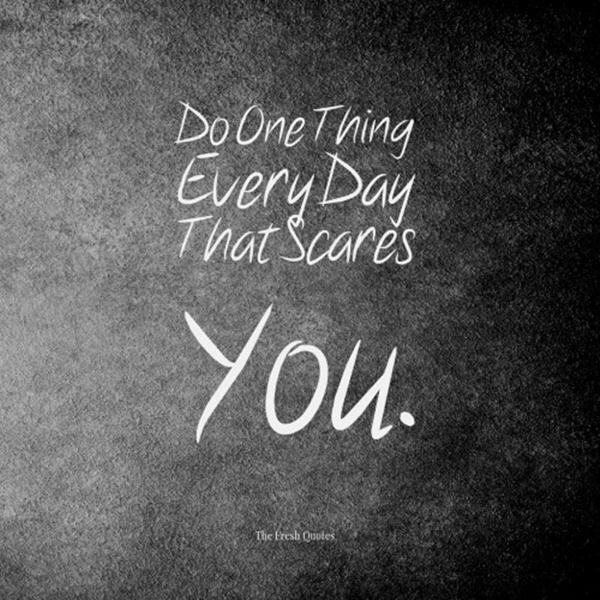 Do one thing every day that scares you. This is always fun. It grows your mind and erases fears. And that’s what we should strive to achieve: reducing our fears and living our dreams in peace. 19. 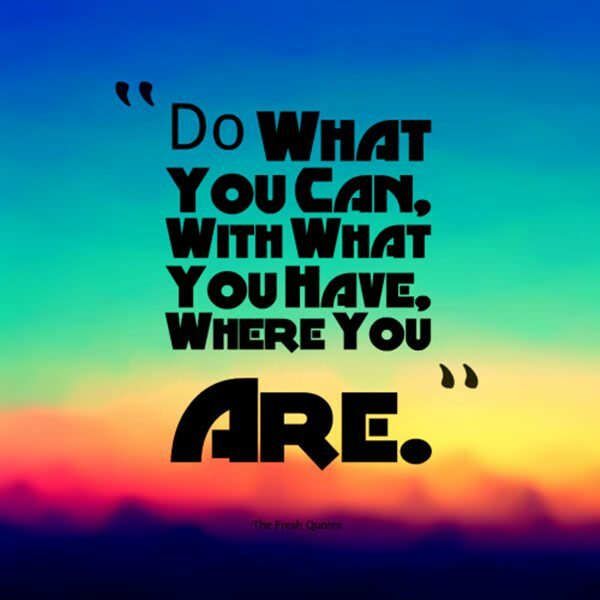 Do what you can, with what you have, where you are. Its really all we can do… But look at this quote harder; interpret it deeper. We can ultimately achieve anything so long as we put ourselves in the right place at the right time. 20. 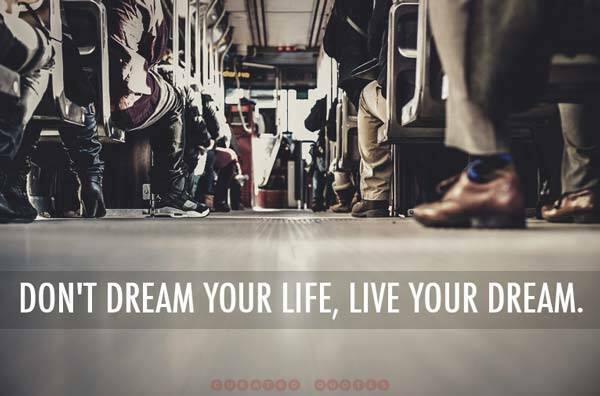 Don’t dream your life, live your dream. Go for it. Why not? Stop fearing failure, it’s guaranteed to get you nowhere. 21. 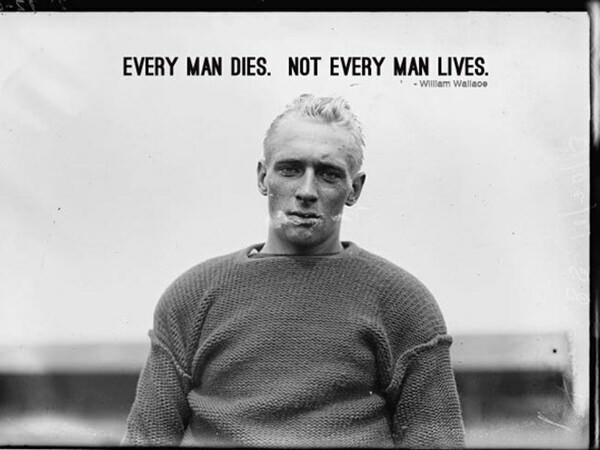 Every man dies. Not every man lives. 22. 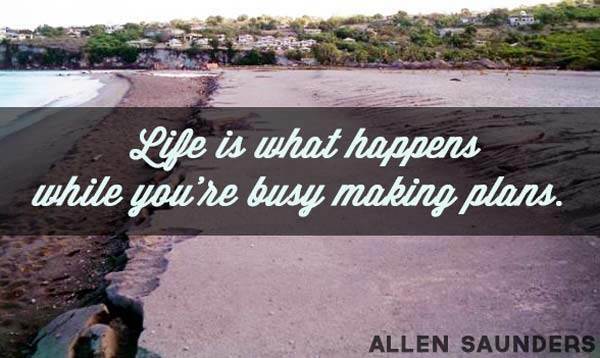 Life is what happens while you’re busy making plans. Plan less, experience more. Most the time we make huge plans only to never truly live them out accordingly. 23. To love is nothing. To be loved is something. 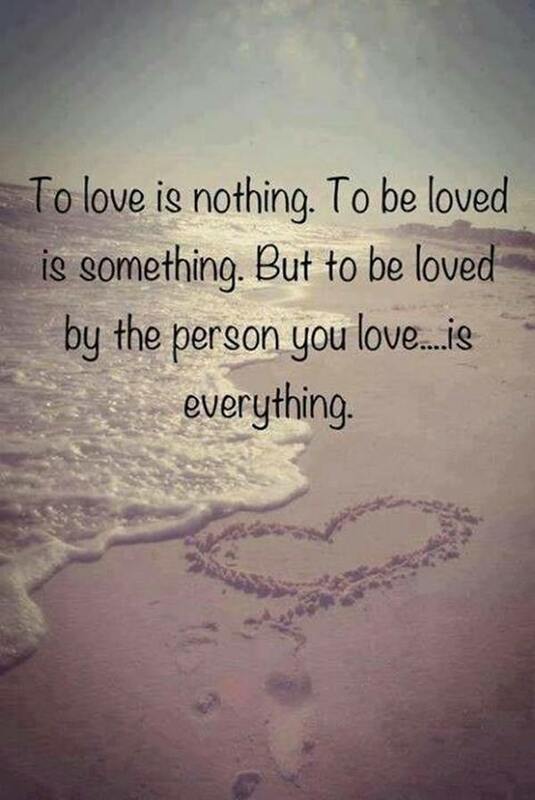 But to be loved by the person you love is everything. This explains it all. If you’re a hopeless romantic, I offer you good luck! 24. 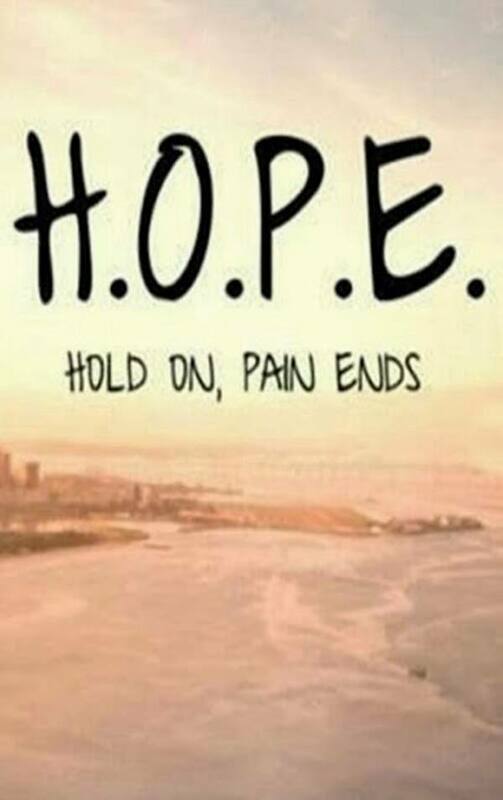 HOPE: Hold On, Pain Ends. I love this clever abbreviation. It makes you feel a sense of how everything will eventually come to an end – especially that which ills us. 25. You’re my favorite place to go when my mind searches for peace. There’s something about relaxing in the arms of your lover that quiets the world around you. Safe, warm, and completely protected. 26. If not us, who? 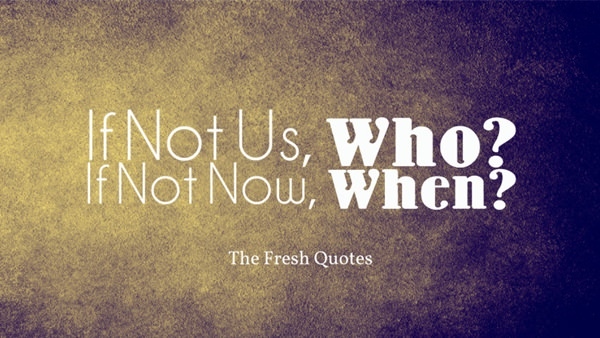 If not now, when? A question that should be answered if trying to delay your goals and dreams. 27. 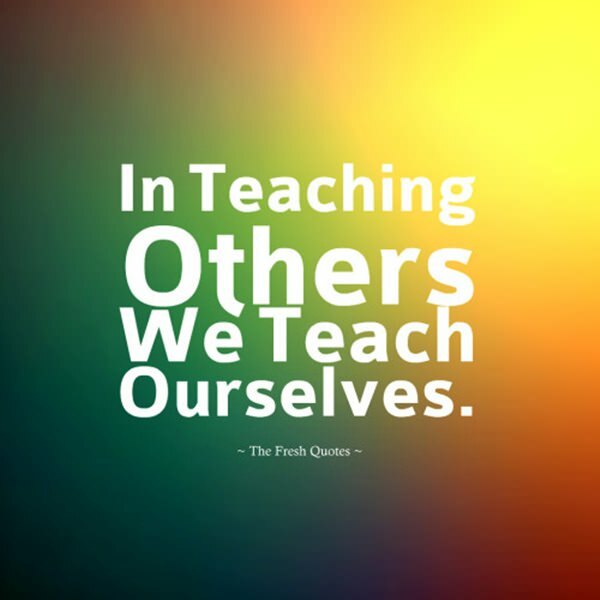 In teaching others we teach ourselves. Have you ever tried teaching something to someone? It really brings out your knowledge of the subject at hand. 28. 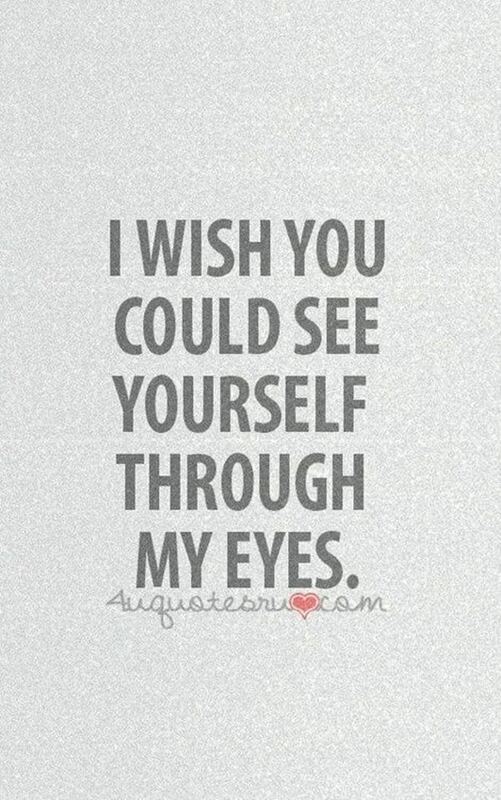 I wish you could see yourself through my eyes. This could be both cute and romantic or horribly mean. 29. 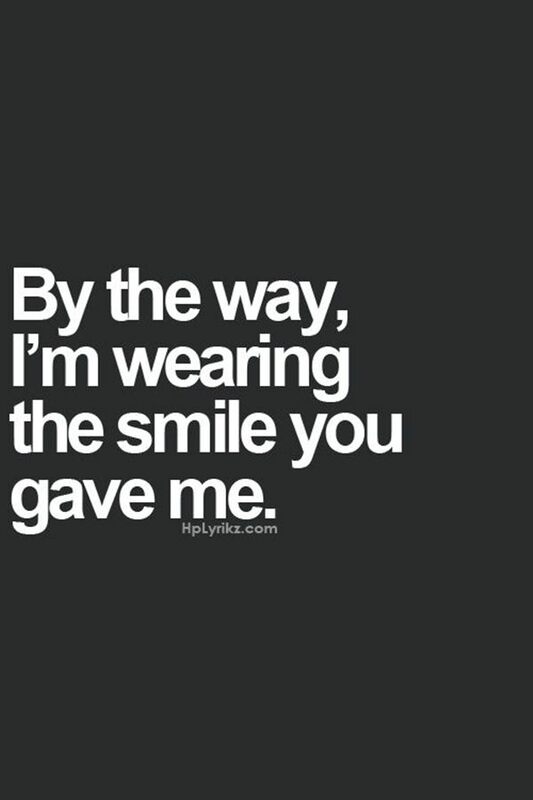 By the way, I’m wearing the smile you gave me. How adorable. I’m going to use this one. 30. Can I borrow a kiss? I promise I’ll give it back. This is also adorable. I’ll be using this one as well. 31. You give me the kind of feeling people write novels about. If you’re a writer or just love to read in your spare time, this quote is perfect for the one you love. 32. 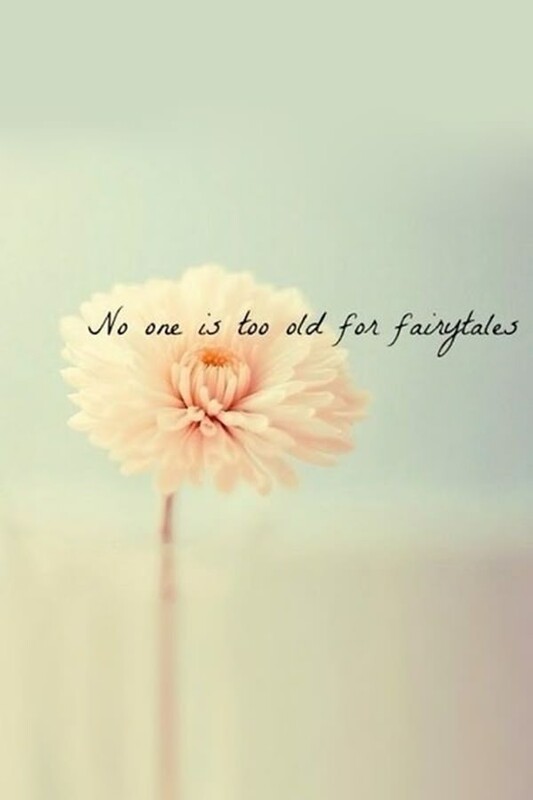 No one is too old for fairy tales. So true. I still love them. 33. 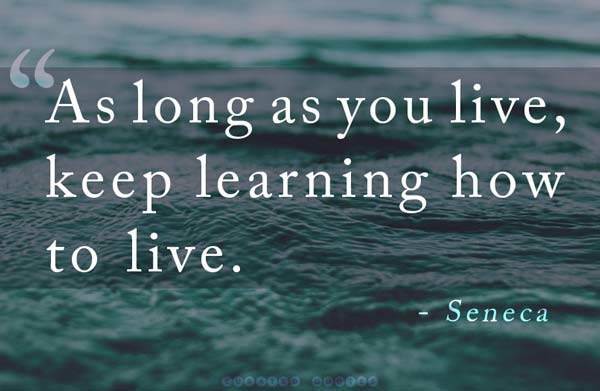 As long as you live, keep learning how to live. You can always learn something new everyday. 34. 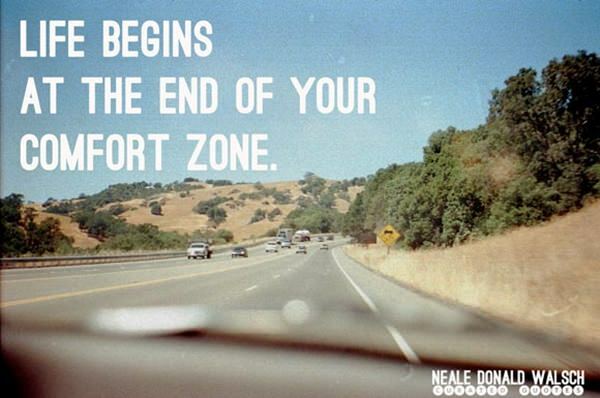 Life begins at the end of your comfort zone. It might feel uncomfortable, but it’s worth it. 35. 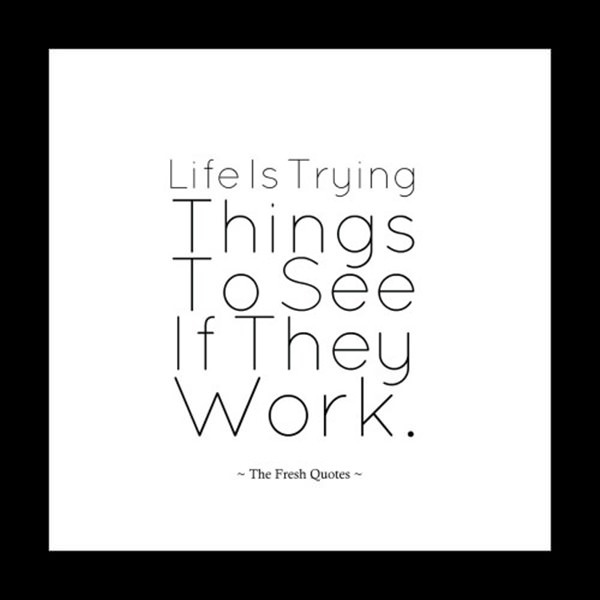 Life is trying things to see if they work. Just let your life run its course, meanwhile as you reach for your goals and dreams. It will all fall into place. It always does. 36. 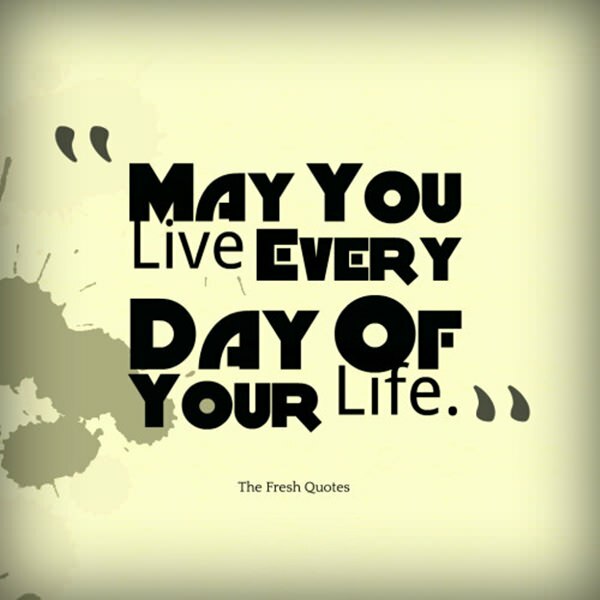 May you live every day of your life. 37. 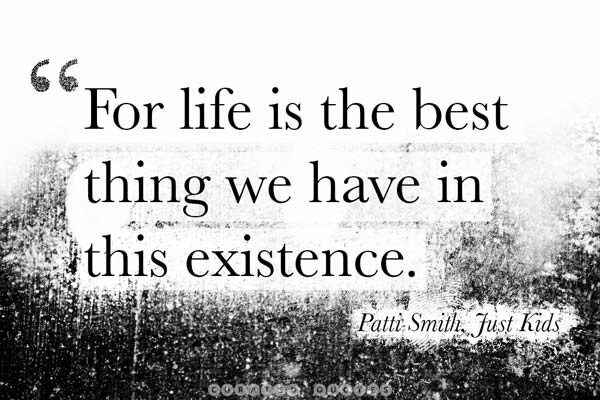 For life is the best thing we have in this existence. It’s the only thing we’re certain we have. 38. I fell in love with you because you loved me when I couldn’t love myself. Some of us need that extra push from the person we love. 39. 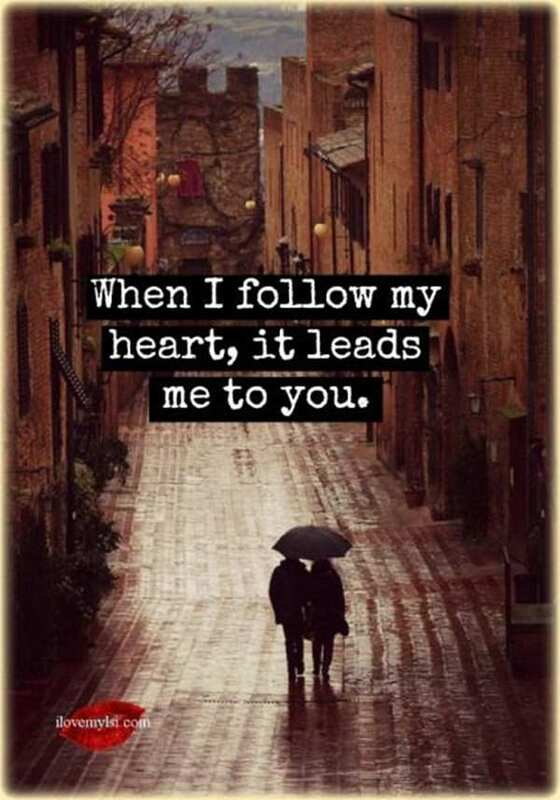 When I follow my heart, it leads me to you. Adorable. A little cliche, but adorable. 40. Hard to sit here and be close to you, and not kiss you. The loveliness of fresh love. 41. Any day spent with you is my favorite day. 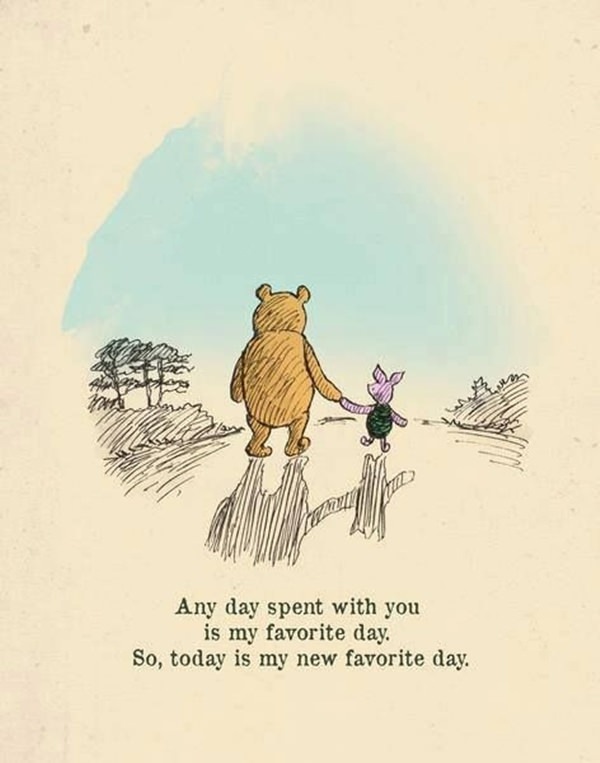 So, today is my new favorite day. This is a great quote to break to a best friend when they’re depressed. 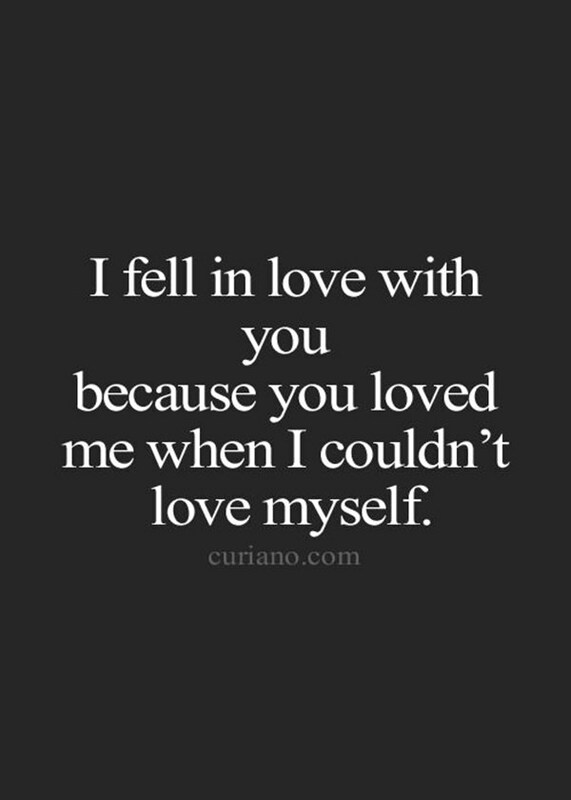 This quote is far more romantic than simply saying “I fell in love with you on first sight”. It’s not vein like the latter. 43. 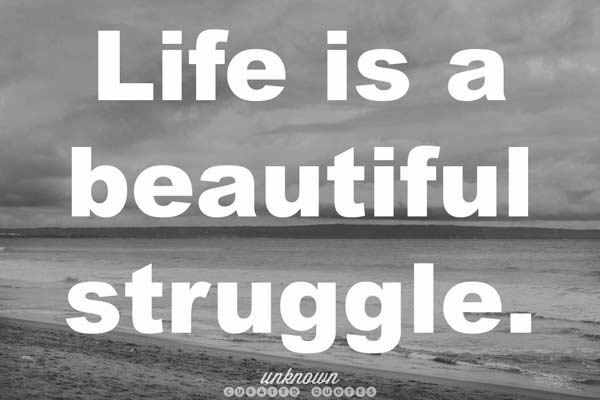 Life is a beautiful struggle. Yes, life does make one struggle, but it’s worth it when you regard the things and people in life that’ve brought you happiness. 44. 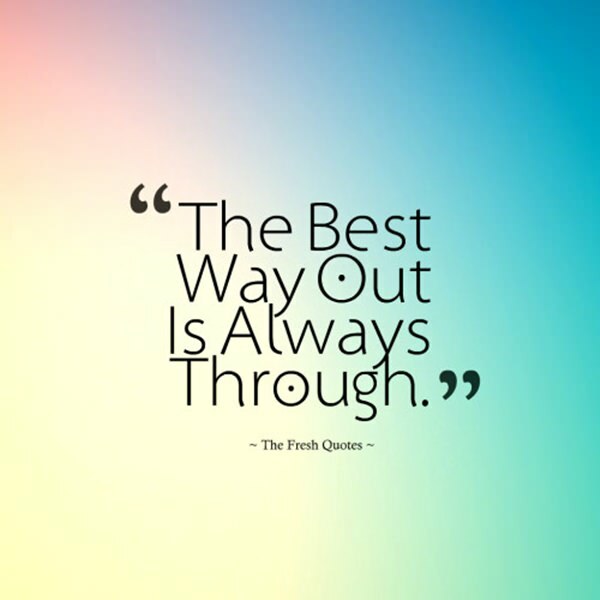 The best way out is always through. Love this quote, perhaps because its deeper than immediate perception. 45. 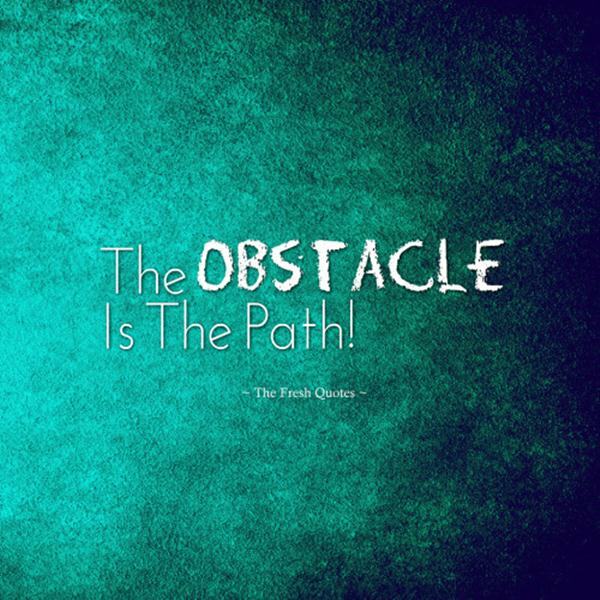 The obstacle is the path! Without obstacles, our life would be a boring walk. 46. 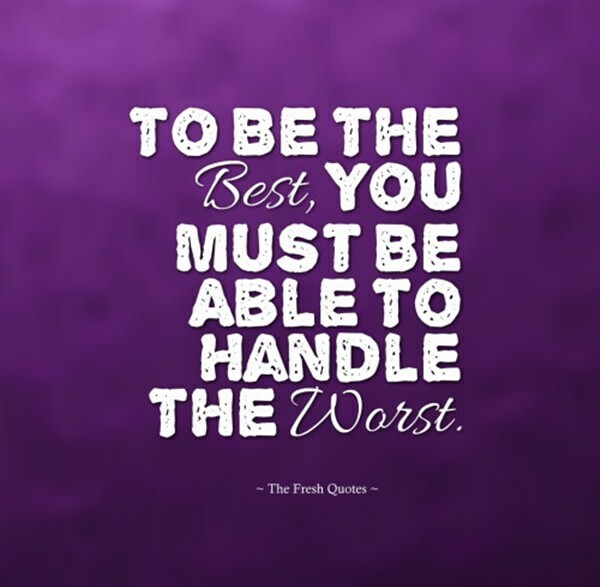 To be the best, you must be able to handle the worst. Because if you can’t handle the worst, you’ll never be the best. 47. 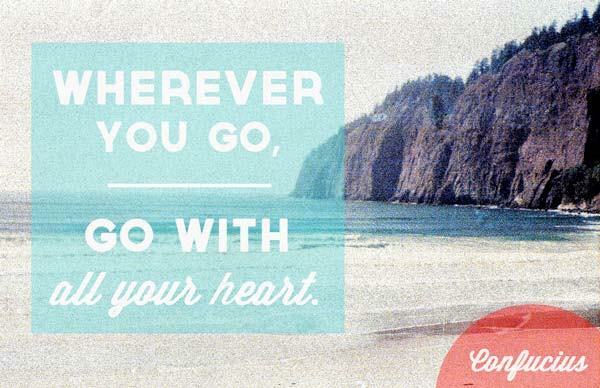 Wherever you go, go with all your heart. Enjoy every moment; feel it with your heart and stop allowing your mind to race. 48. 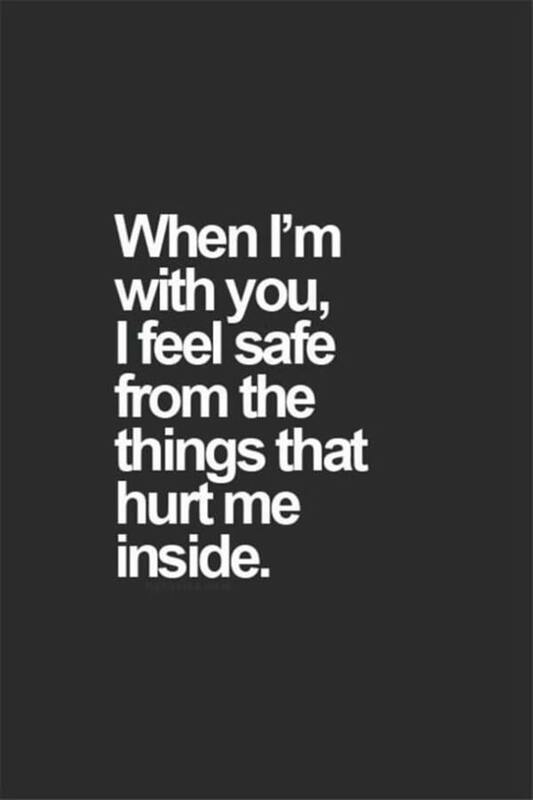 When I’m with you, I feel safe from the things that hurt me inside. As if being around this person quiets the ego. Know anyone that does this to you? 49. You educate a man: you educate a man. 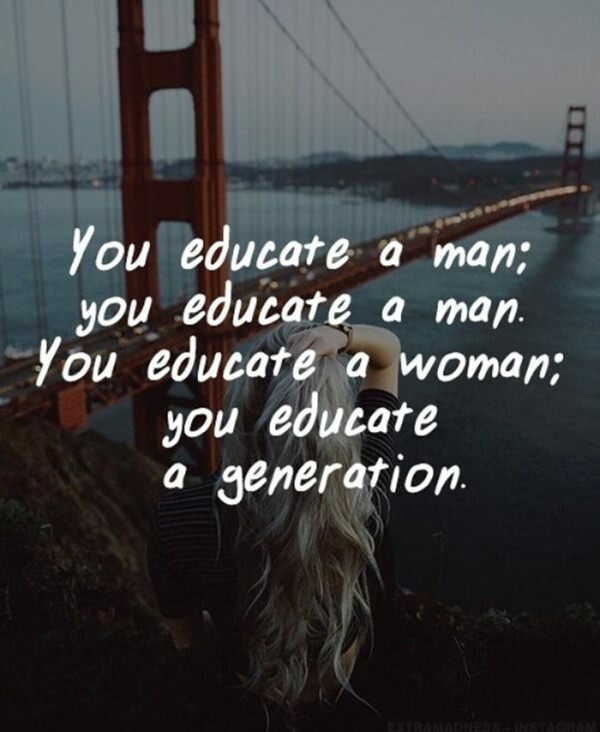 You educate a woman: you educate a generation. An inspirational quote for us women. We do tend to raise the children, so we tend to pass on our knowledge to the next generation. 50. 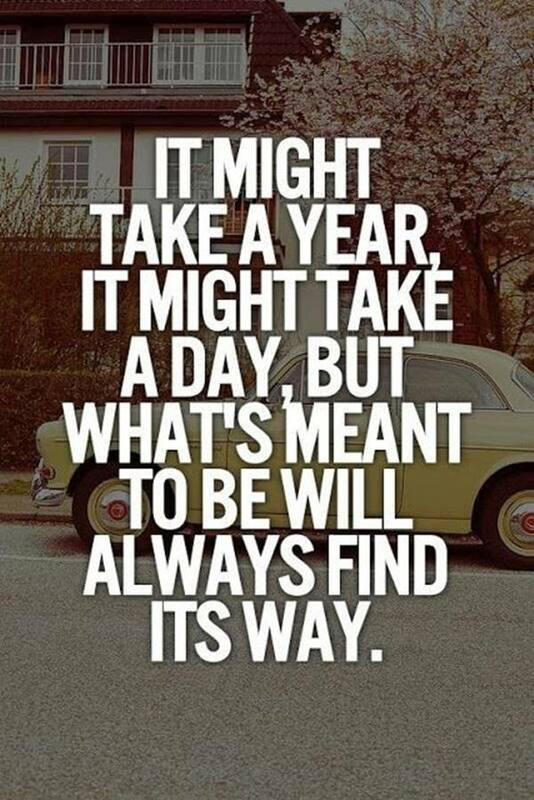 It might take a year, it might take a day, but what’s meant to be will always find its way. 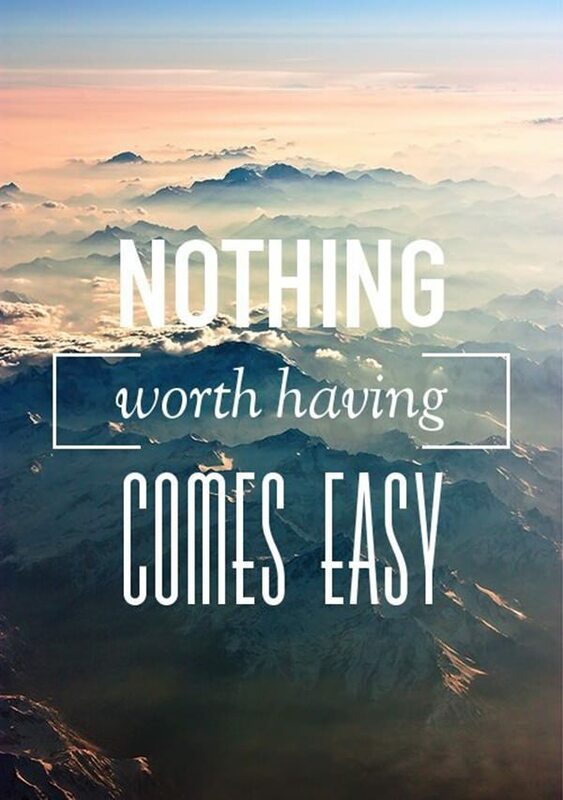 If nothing seems to be going right for you, just remember this truth. 51. 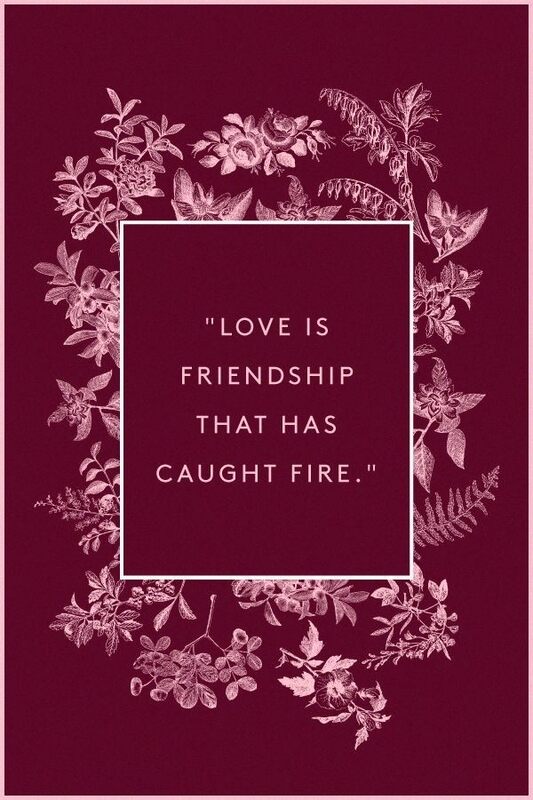 Love is friendship that has caught fire. You’ve got to be friends with your lover. It’s almost a given these days. 52. 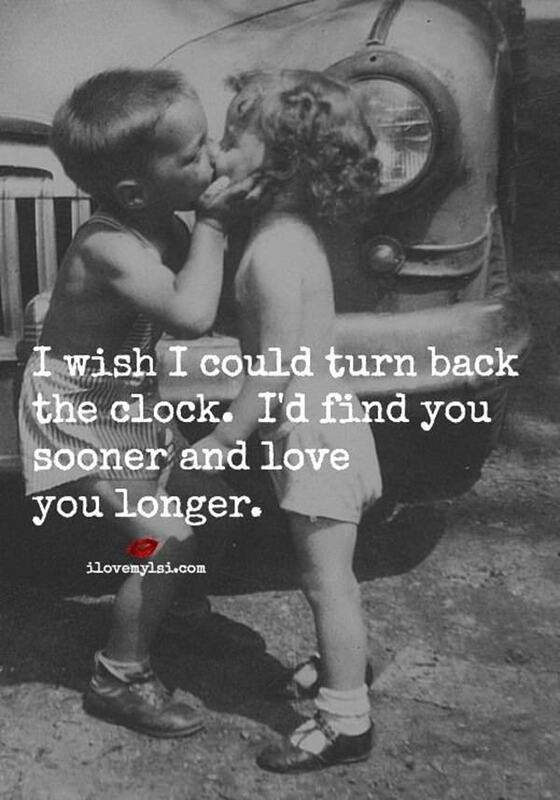 I wish I could turn back the clock. I’d find you sooner and love you longer. I like this quote but does anyone else find the photo below a little creepy? 53. 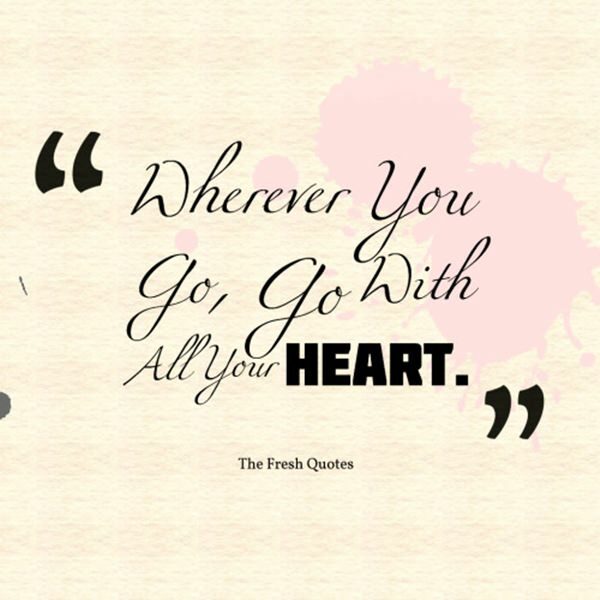 Where you go, go with all your heart. 54. What’s done is done. And there’s nothing you can do about the past. But you can make choices right now to twist your future. 55. 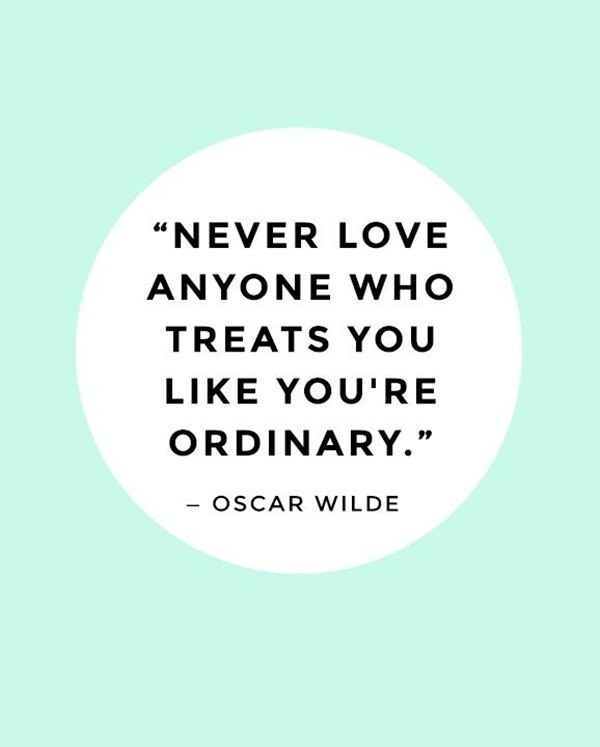 Never love anyone who treats you like you’re ordinary. Great advice. The person that truly loves you will always find you amazingly different, it’s why they choose you. 56. 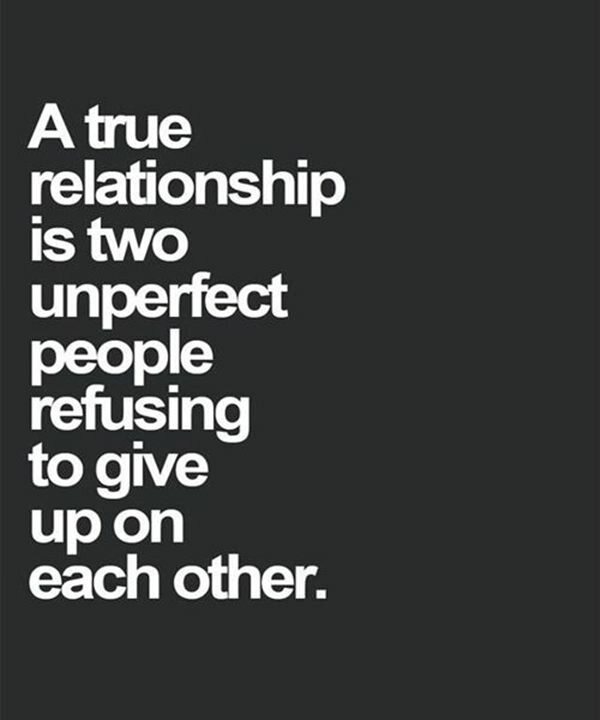 A true relationship is two imperfect people refusing to give up on each other. Being married, I can vouch for this one. You can honestly pair almost any two people together (almost!) and they’ll be able to create a good relationship with one another so long as they stick through the bad and good times. 57. 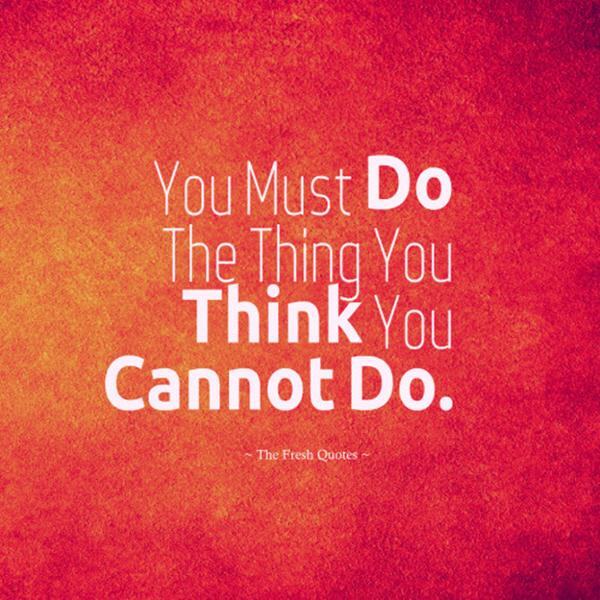 You must do the thing you think you cannot do. Because once you do, you’ll feel invincible. It’s the adrenaline rush that you give yourself that ultimately drives the soul. 58. 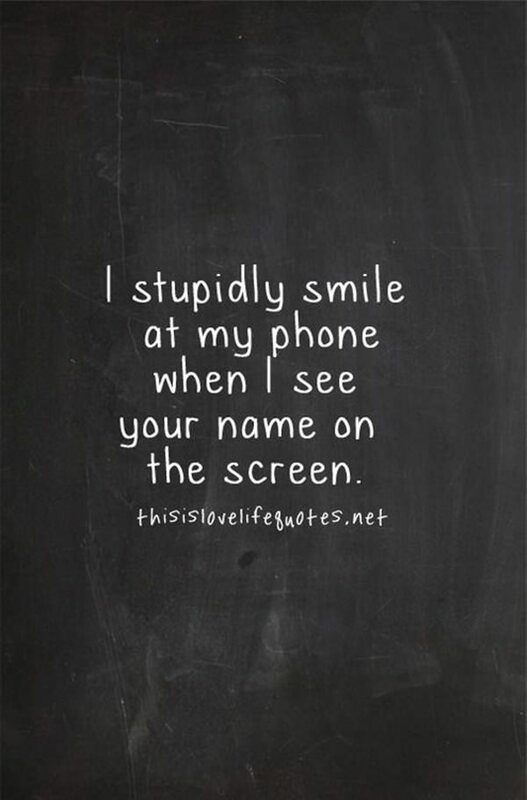 I stupidly smile at my phone when I see your name on the screen. This is cheesy but all around cute. And definitely part of this time era. Isn’t technology awesome how it changes all aspects of society? Including how we envision our very own inspirational quotes. 59. 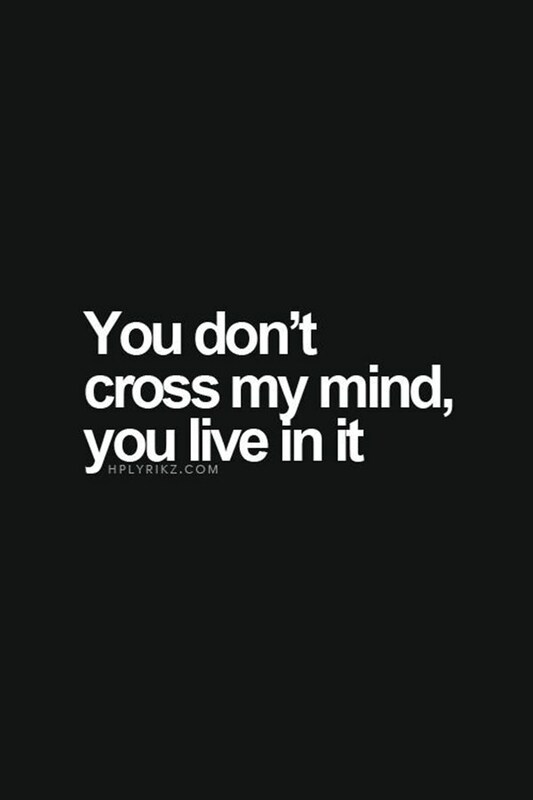 You don’t cross my mind, you live in it. Indeed! Be careful and try not to obsess too much over a person. Remember, to always love yourself before loving another.